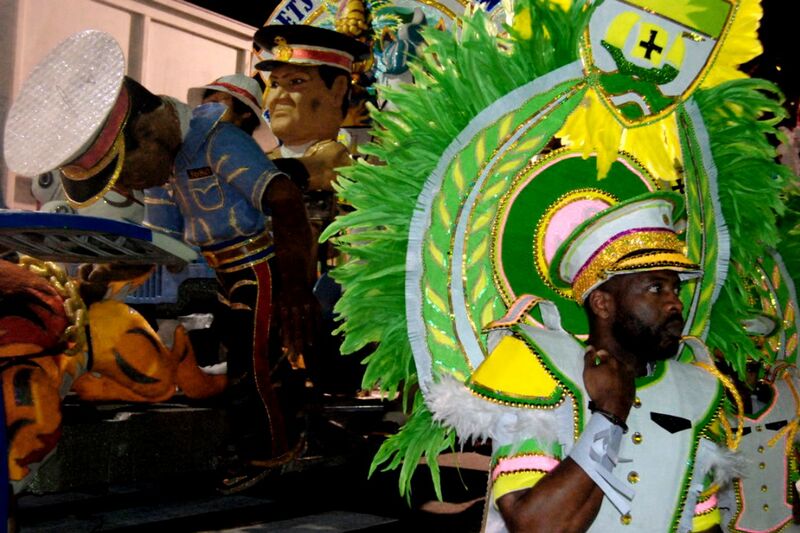 I was captivated by the transformation of Yoruba, Igbo and other West African masked spiritual traditions, having survived the middle passage and the inhumanity of slavery, into the festive contemporary pageantry of Junkanoo. 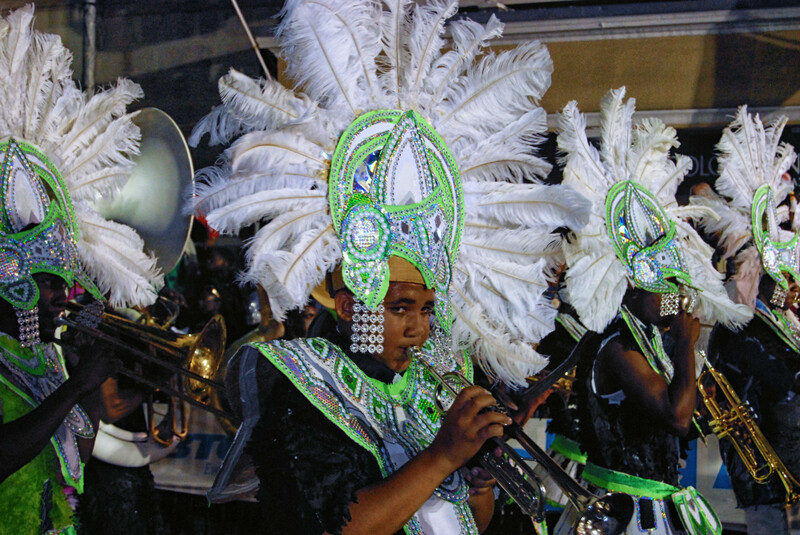 Having studied West African dance myself, I recognised the fluid and cadenced moves of the dancers, as they pulsed to the syncopated rhythms of a variety of brass instruments and drums fashioned out of recycled barrels. There was a palpable joy. both in the procession and the stands of spectators, as no one was immune to the spirit of the occasion. To me it seemed a testament to the power of the human spirit to rise up and create beauty with art, despite the origination of this tradition in the abomination of the slave trade. 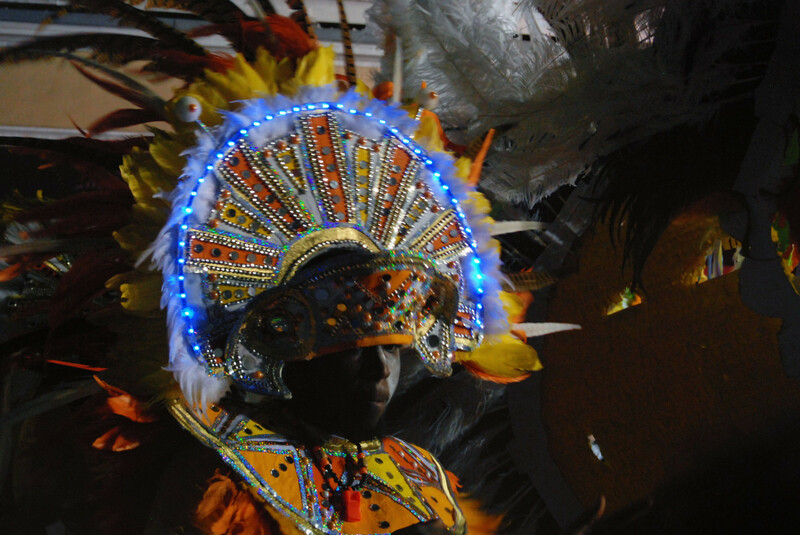 Dancer festooned with feathers, beads, sequence, and an elaborate headdress that took up to a year to create, Boxing Day parade, 2016. 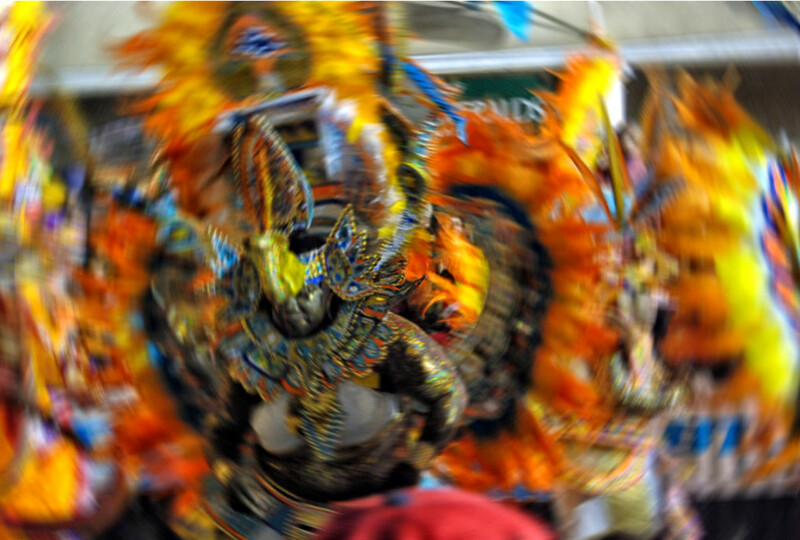 The world-renowned festival, Junkanoo (Bahamas), has its roots in the time of the British slave trade, where the three days free from work were celebrated with around-the-clock processions, dancing and music. 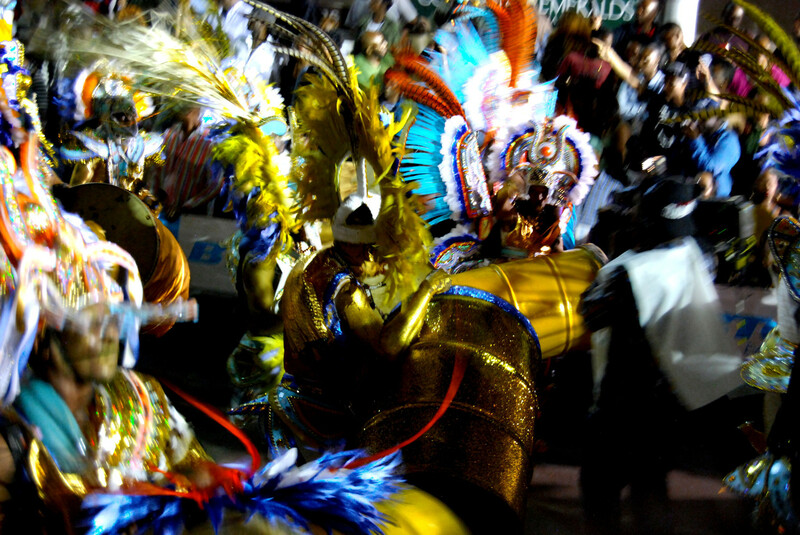 With its origins in West Africa's masked dances, today's celebrants fashion costumes, floats and masks out of humble materials: cardboard, wire, paint, crepe paper, glue and glitter to create a glorious extravaganza of colour, whose wearers weave elaborate choreographies in competitive groups led by floats and marching bands. 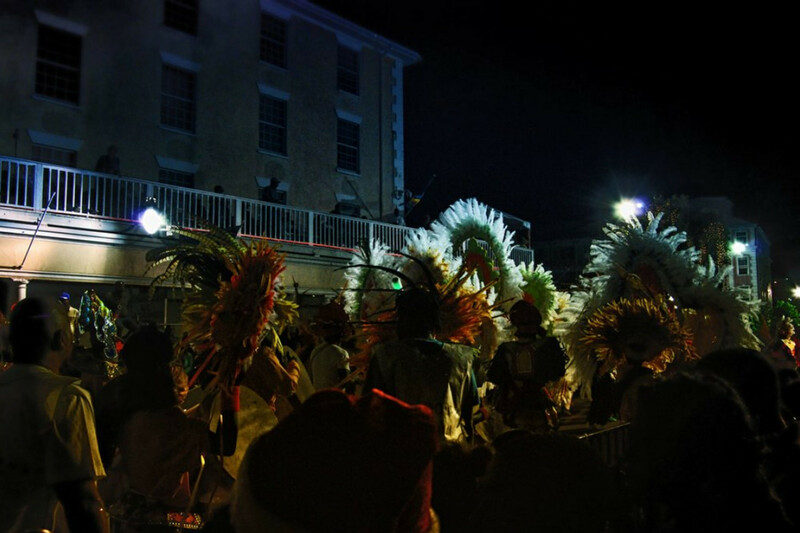 The infectious music gets the crowds on their feet and permeates the downtown core of Nassau from midnight until well past dawn. 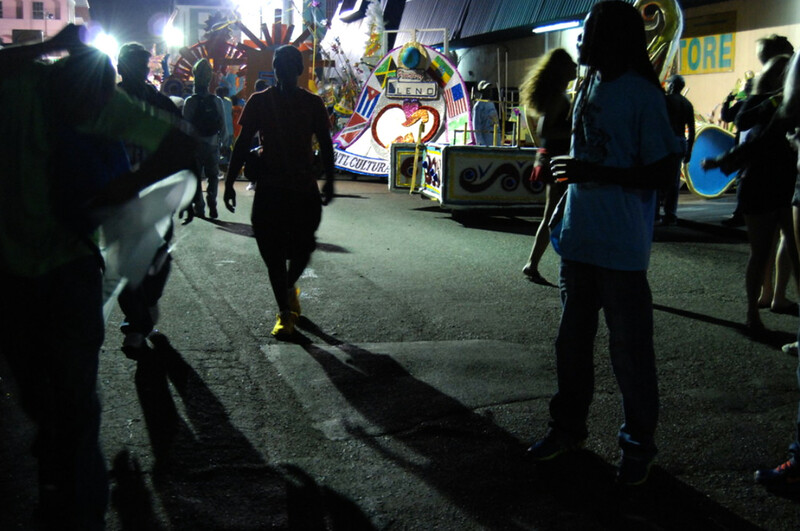 As part of this photo essay, I had the opportunity to visit and photograph inside the "shack" of one of Nassau's most important Junkanoo crews: the Valley Boys. 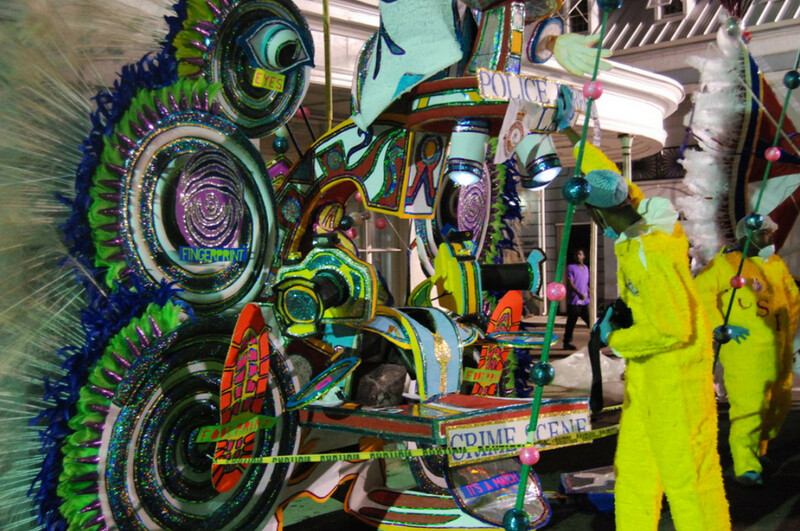 The exact location of each construction site is a closely-guarded secret so that the public presentation of themes, floats and costumes is kept a surprise until the very nights of Junkanoo, December 26th and January 1st at 12am sharp. This dancer for the Roots crew, swirls and swings with the music. 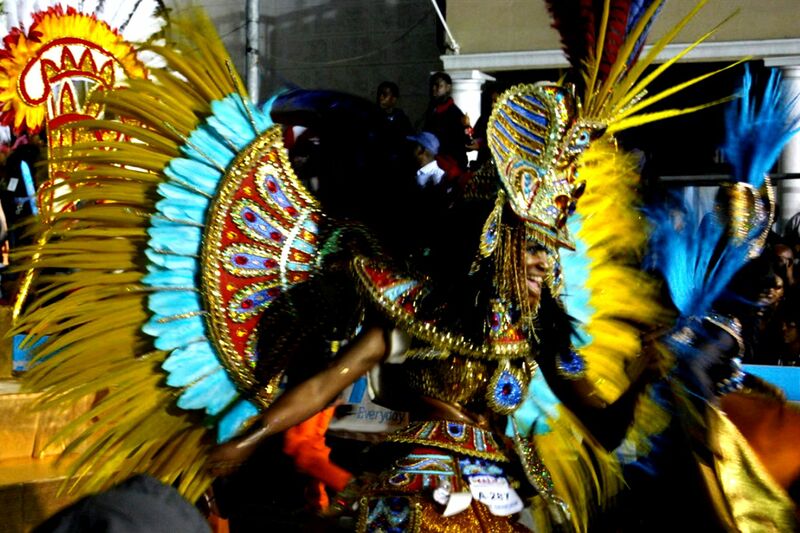 Sporting the plumage of an imaginary bird, her costume nonetheless exhibits the Roots theme of Egyptian gods for the Boxing Day parade. 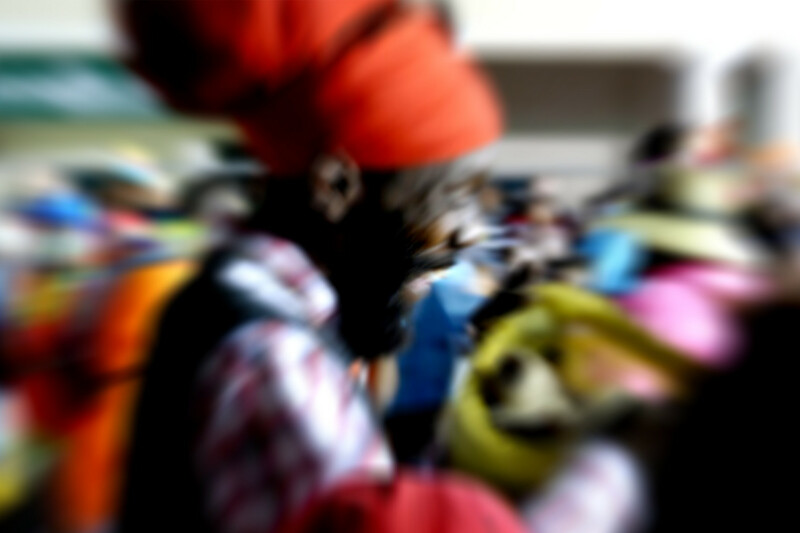 Peanut vendor, bringing cheer and delicious eats to spectators. 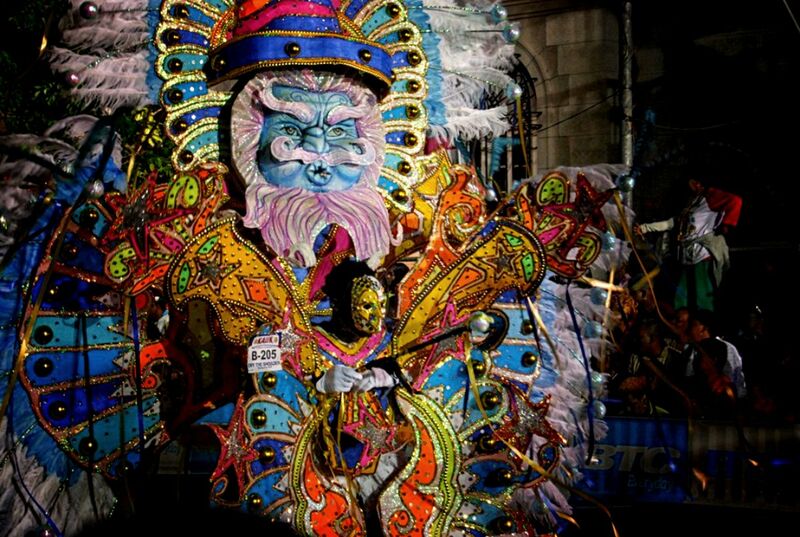 Float costume: Boxing Day parade. Roots - a crew that gives the Valley Boys some serious competition. 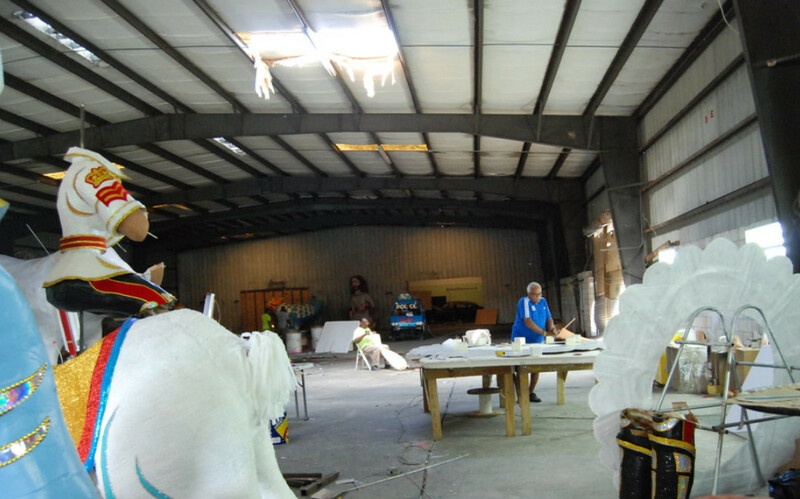 Two members of the Valley Boy crew, Dwight and his main assistant, lay out the basic structure of a float in carved Styrofoam, held together with glue and masking tape. 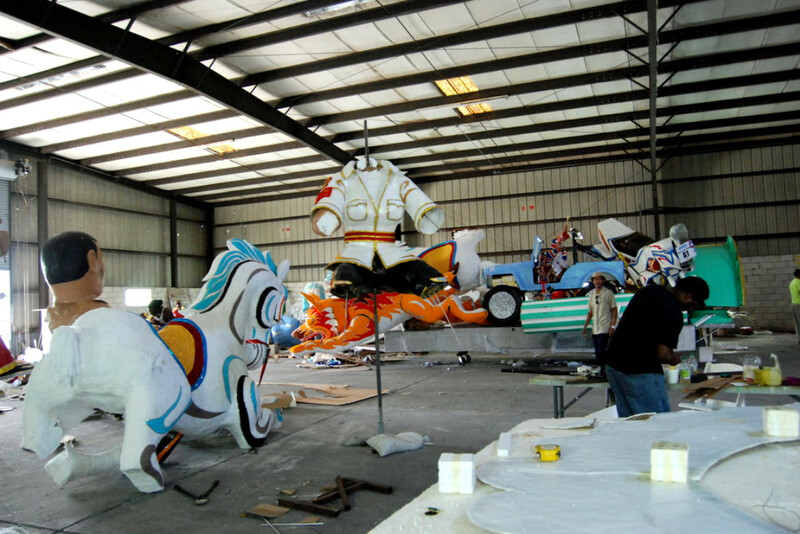 The day after Boxing Day, they immediately begin putting the finishing touches on the floats for the New Year's night Junkanoo parade. The location of their shack is a well-guarded secret as the competition is stiff and the stakes are high. 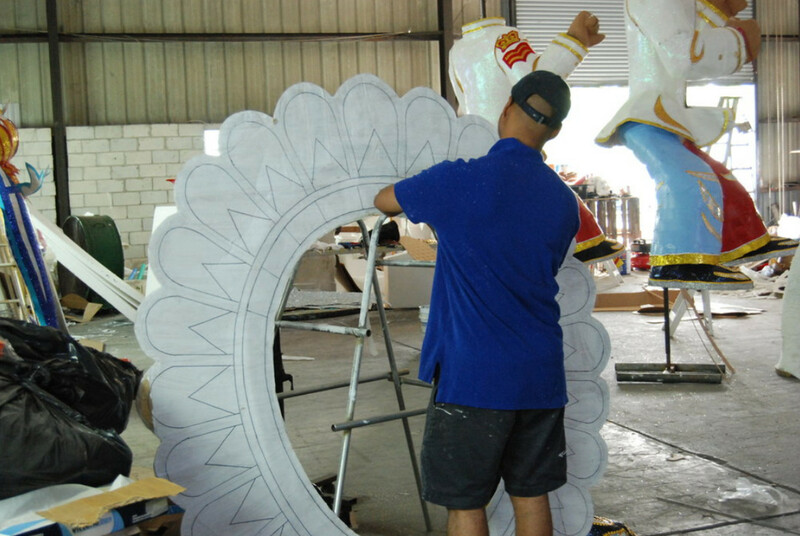 Float builders work around the clock, in addition to their day jobs, and use very simple materials to make costumes or floats that shimmer and flash. 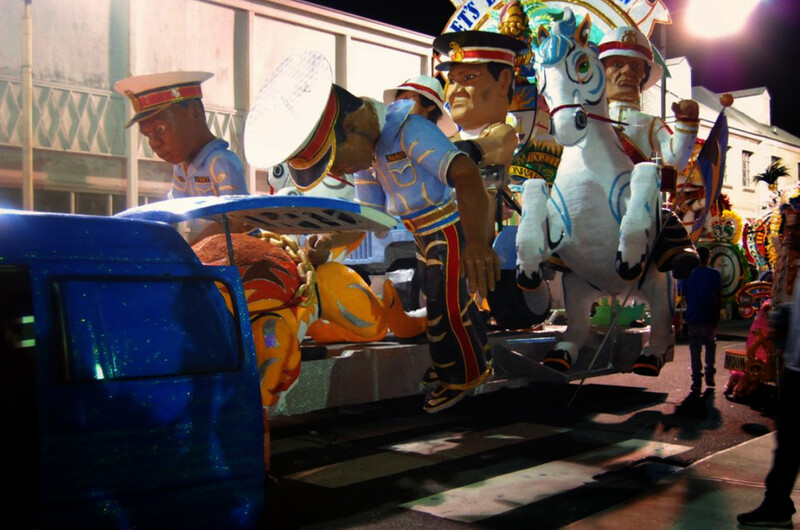 Floats and costumes are built each year around a different theme that is an equally well-guarded secret. 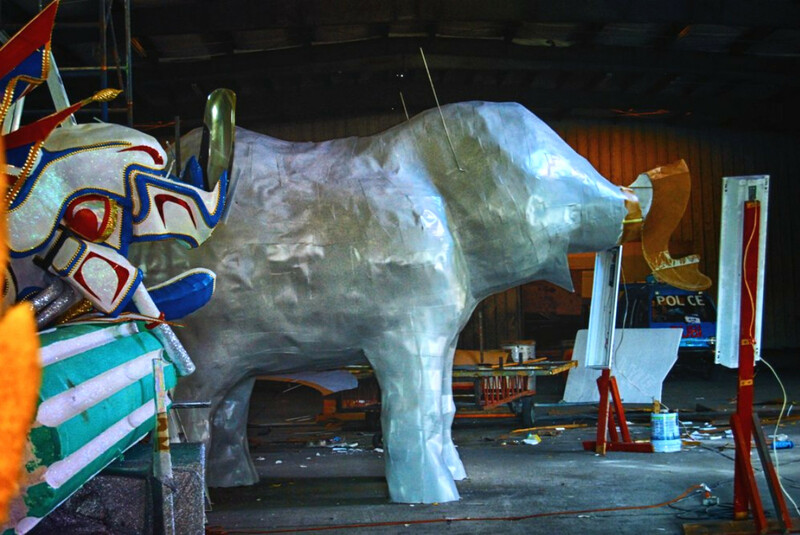 Construction of an elephant out of styrofoam and plastic wrap. 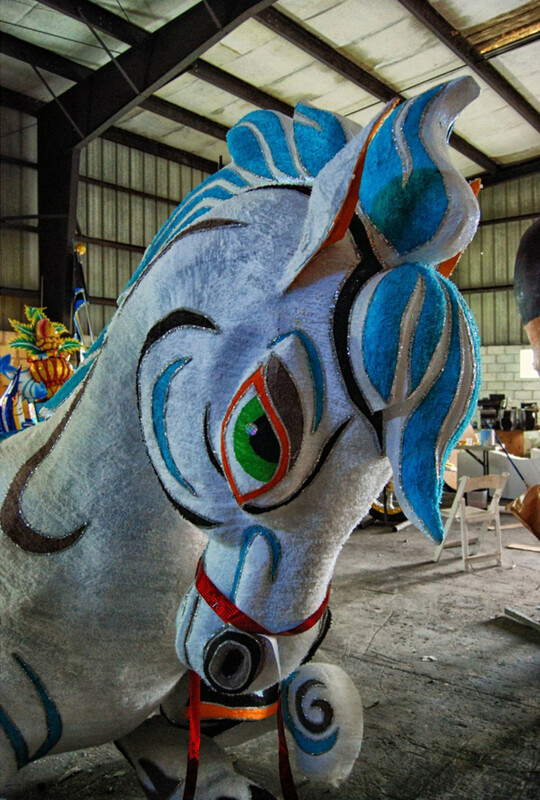 The front-end details of the horse are glued onto the styrofoam structure. 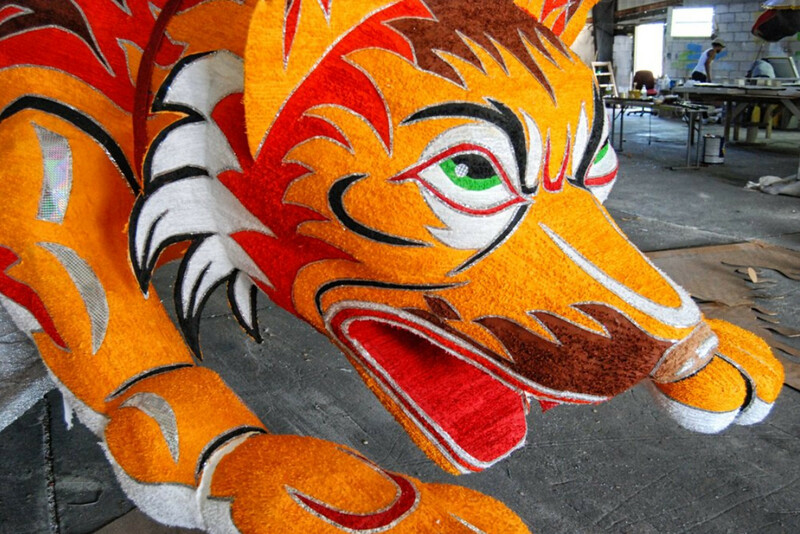 Thin strips of colourful crepe paper give texture and life to the sculpture. 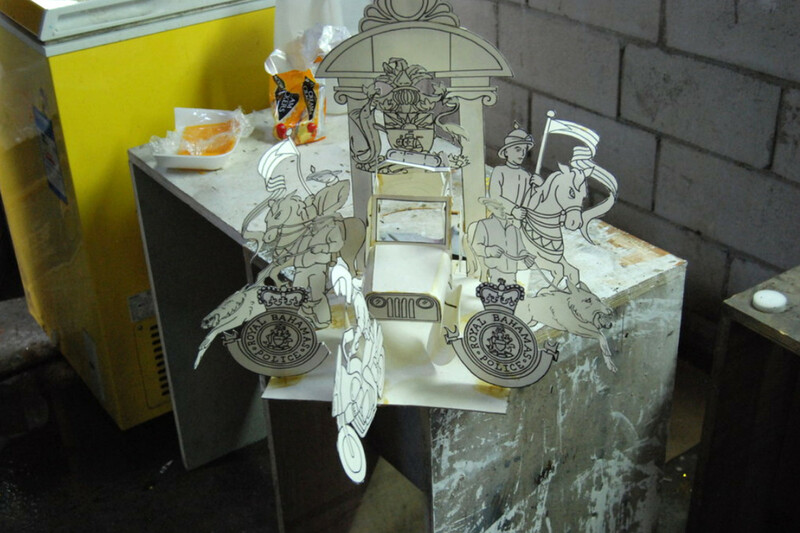 Glitter and holographic paper complete the desired flash for the parade. 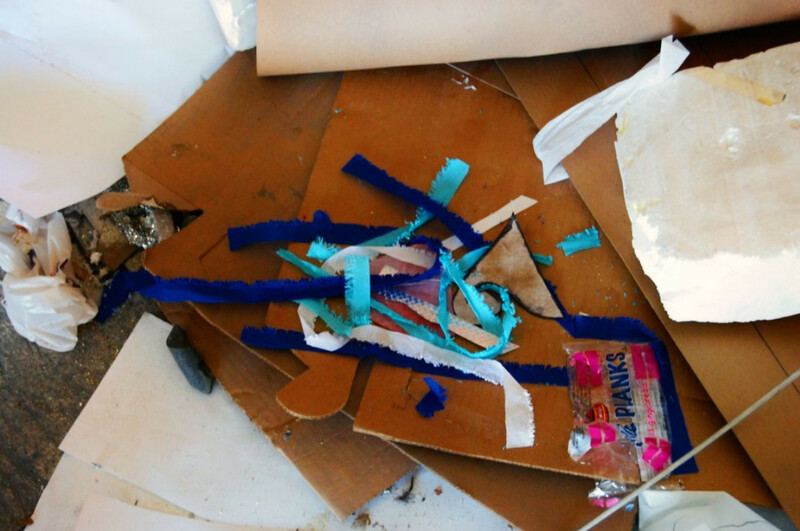 The raw materials used for the basic structures and the finishings on the floats: cardboard, card paper stock, styrofoam, fringed crepe paper, glitter, louan and brown paper. 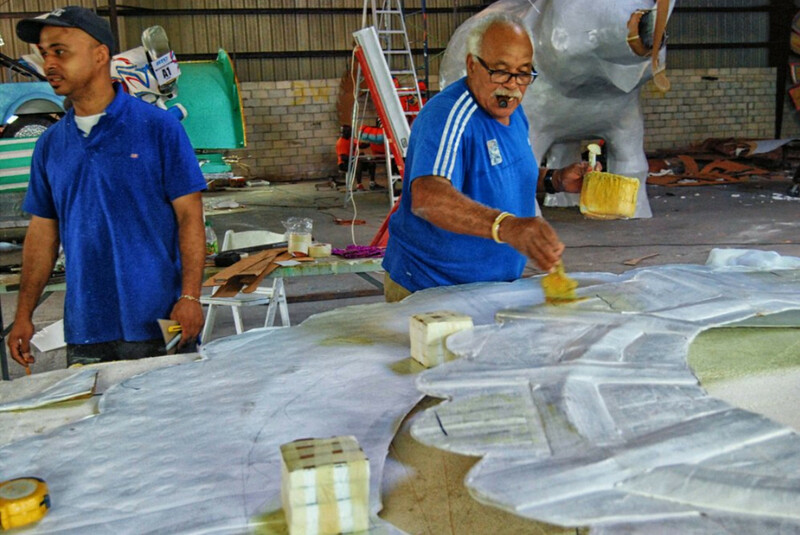 Dwight maps out the design on a carved styrofoam sheet for one of the New Year floats. 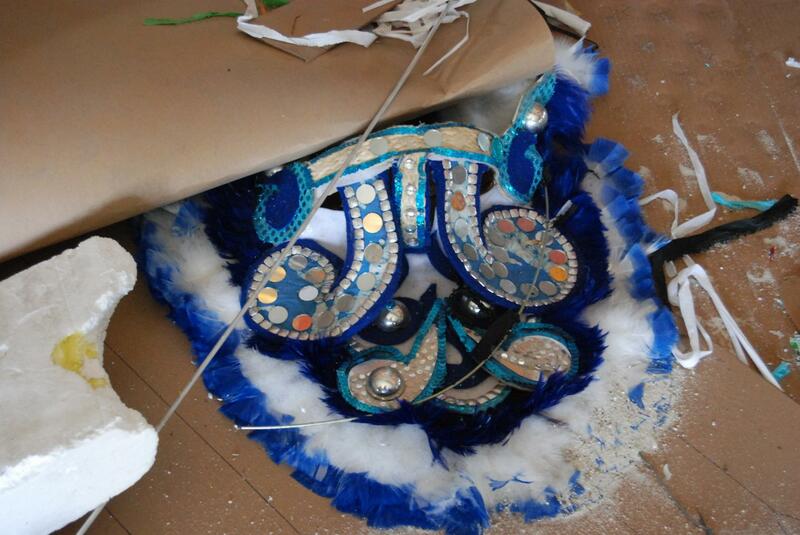 Mock-up for one of the floats for the Valley Boy theme for the Boxing Day Junkanoo parade: Law Enforcement. 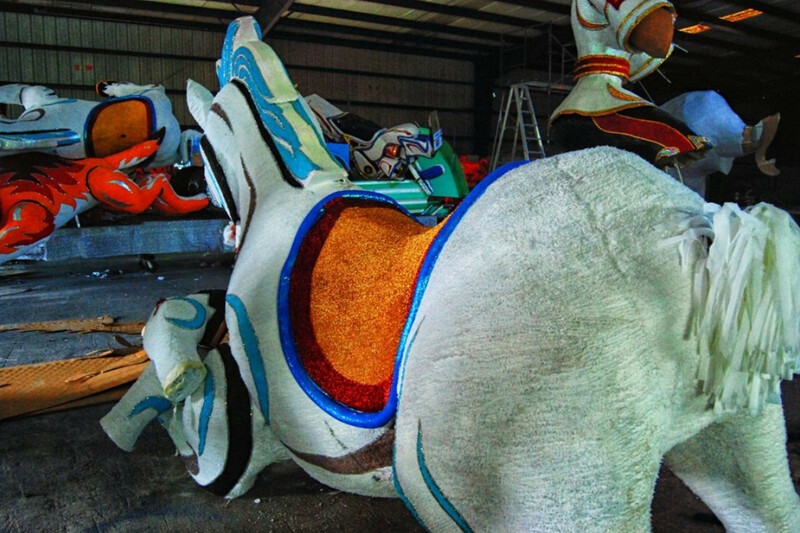 The back end of the horse shows the intricate layering of the fringed crepe paper, painstakingly applied, strip by strip, to give the illusion of a horse hide. 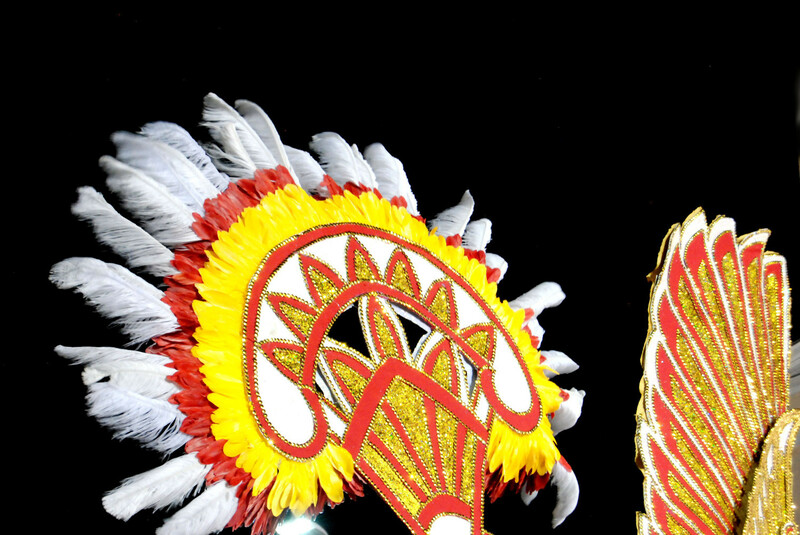 Sequence, buttons, feathers, and shells provide detail and glamour to floats and costumes. View of the interior of the shack. 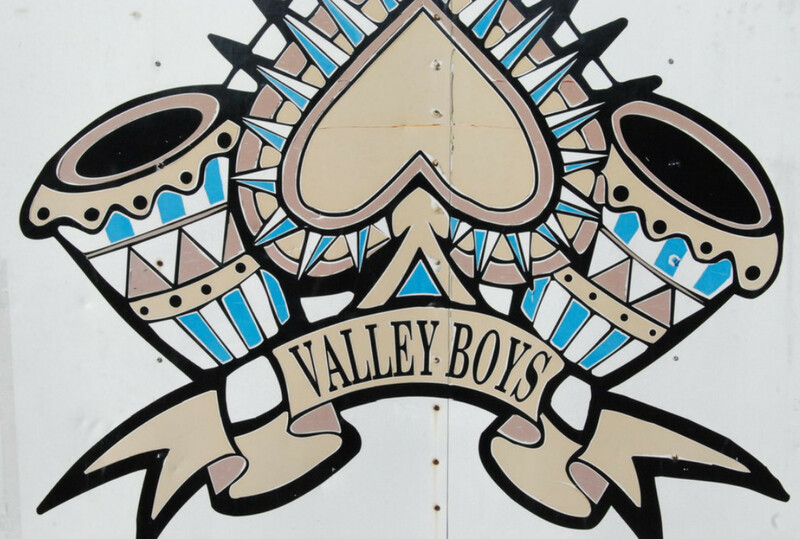 The Valley Boys logo painted onto the back of a transportation truck used to move the floats from the shack to the downtown, where the parade takes place in Nassau. 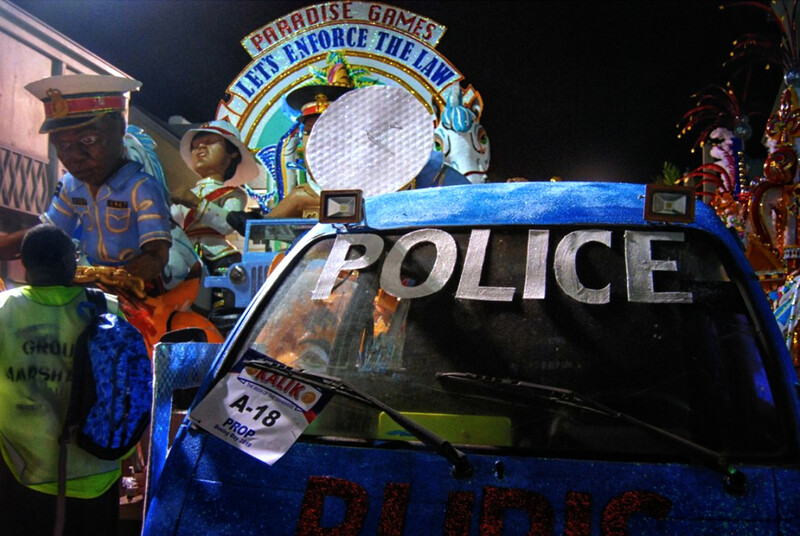 Valley Boys theme float: Law Enforcement, Boxing Day parade. 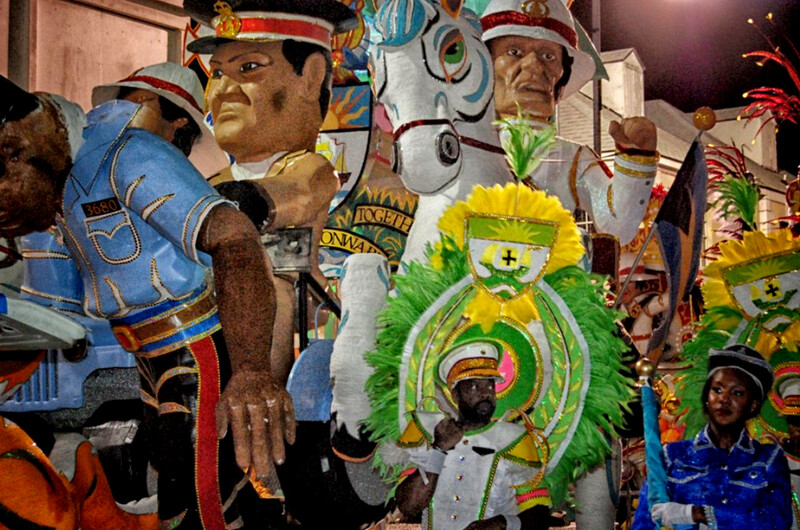 Wandering the backstreets behind the parade. Trumpet players from a competing crew. Glittering drummer with gilded drums fashioned out of petroleum barrels. 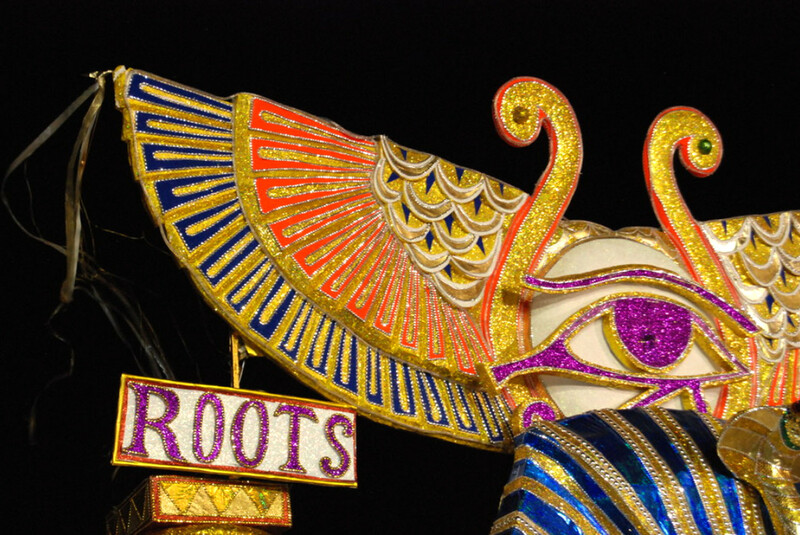 Section of the Roots crew main float.